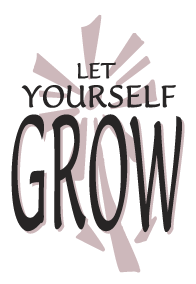 I work with healthy people who seek to live better by reaching for the healthy growing Self. To that end, I am trained in various methods that have been honed over years of practice and teaching. Answers to your billing and Insurance questions. There is no fee for our initial consultation. I have chosen not to be listed with any managed care organization. Nor am I a Medicare provider. Most other insurance companies cover my work as an “out of network” provider. I do not do electronic billing. I ask payment at each session and provide a statement at the end of the month for you to send to your insurance company. My fee is $125.00 per 50-minute hour. Honored to be one of 11,000 U.S. Psychologists listed in the National Register of Health Service Psychologists. e-mail me [forgivenessoptions@earthlink.net] or phone [612-760-5007] to schedule your initial free consultation. Please come back to my site often as I will be posting occasional life enhancing pointers!